The P5 series featuring XGA/WXGA resolution, and are suitable for large-venue projectors to present widescreen video and heavily detailed presentations. The units offer up to 4000 lumens of brightness, with a 10000:1 contrast ratio. The units also offer up to 40° vertical keystone correction, 3D images via DLP 3D Ready and HDMI 3D that enables high (120 Hz) refresh rates. The Acer Empowering Key provides access to a suite of tools designed to simplify access to setup, viewing and timer utilities, while multi-PC connection, including two D-Sub and two HDMI x 2, allows connectivity and instant switching. The models have built-in Office and PDF Document Reader support, so the P5307WB/P5207B can project Office or PDF files via integrated USB reader without having to turn the PC on. 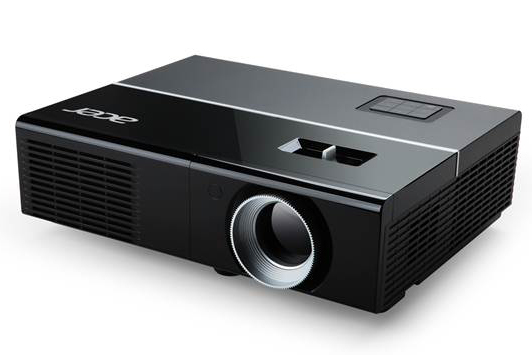 Depending on the configuration, the P5 series can also enable wireless projection, allowing to project contents through Acer eDisplay and Miracast projection from all certified mobile devices – smartphones, tablets, notebooks. Acer P5207B, P5307WB series projectors are totally compliant with the Crestron Network System. The four new models of the P1 series provide brightness of up to 3,500 lumens and a contrast ratio of up to 17000:1, with native XGA or WXGA resolution. The P1 projectors are equipped with D-Sub, S-Video, and Composite connectors, and HDMI. The P1 series supports a ± 40degrees of auto-keystone correction. This means that any vertical distortion can be automatically corrected to make the projected image perfectly rectangular, no matter where the projector is placed. Another feature is the auto ceiling-mount correction, enabling the projector to instantly rotate the projected image by 180º to ensure the correct orientation when it’s ceiling-mounted. P1273 €599, P1341W €699, P1276 €799, P1500 €999, P5207B €999, P5307WB €1,099. 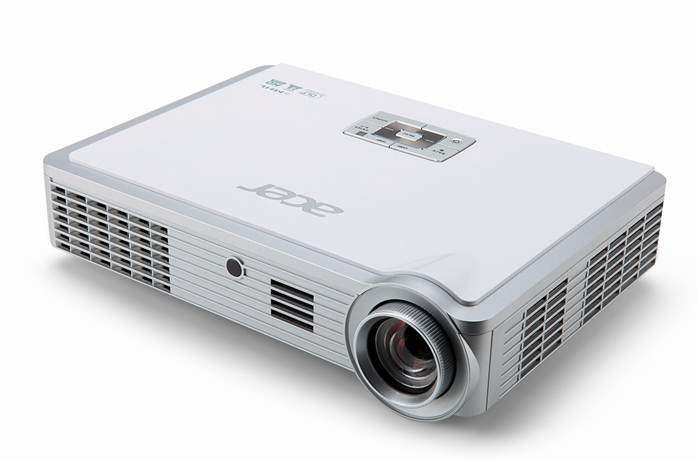 Acer has also unveiled a new series of travel projectors, the K335, K135 and K132 weigh from 0.42kg to 1.3Kg and a size smaller than a A5 paper to a size smaller than a magazine. The units provide brightness of up to 1000 lumens combined with a 10,000:1 contrast ratio, with native WXGA resolution. The Acer K335, K132 and K135 projectors will be available in EMEA from July with a retail price of €999, €599 and €699, respectively.